Find a Drag Queen Act for hire near you in minutes! Option 1. Enter your event location below & contact a Drag Queen Act directly! Option 2. Request multiple quotes from available Drag Queen Acts Get Quotes! Option 3. Read information & advice on hiring Drag Queen Acts Read Advice! WANT TO KNOW MORE ABOUT DRAG QUEEN ACTS? Read on for the most comprehensive guide to booking a Drag Queen Act, including how much a Drag Queen Act costs, exactly what they will do at your event, plus tips, advice and information to help make your event one to remember! A Drag Queen will dazzle, shine, and certainly rustle some feathers with a unique mixture of humour and gentle ridicule! What exactly will a Drag Queen Act do at your event? If you like your entertainment to come with 4-inch high heels, an outrageous wig, shimmering eye make up and a white hot wit, then look through our Drag Queens for hire section! When you think of famous Drag Queens, you may think of Danny la Rue, Divine, Violet Chachki, Miss Fame, Mimi Imfurst and more! They are all very different from one another, but they all share the same quality in performance! You may also think of Ru Paul’s wildly entertaining television show ‘RuPaul’s Drag Race’. Which began airing in 2009. This groundbreaking show really bought Drag Queens, Transvestites and Transgenders to a wider audience and showed us that all a Drag Queen really wants to do is perform and have fun! Usually, a Drag Performer will use quick witted put downs and sharp remarks to roast a few members of the crowd, before lip syncing to a disco favourite! They will mix cabaret with music hall, Soho-Chic theatrics with fascinating anecdotes and above all, they will light up your night with good old fashioned mischief and fun! Mainly, a Drag Queen Act will entertain your audience with a fantastic live show that will put the wow factor into celebrations and impress your guests, whatever their entertainment tastes may be. What event types are Drag Queen Acts hired for? When you hire a Drag Queen for your entertainment at the wedding evening reception, then you will be getting a high-class performer who will work the room with glamour and a saucy routine that will involve put-downs! It may be worth noting that most Drag Queen shows will be 18+ only experience due to the nature of the patter and banter! Maybe you are hoping for an ice-breaker for your corporate event? 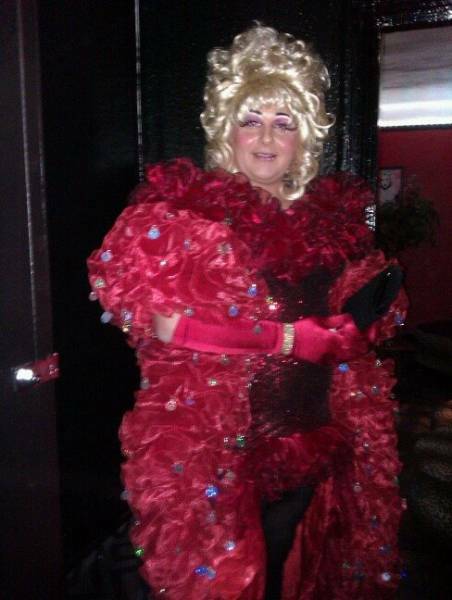 Well, you won't be able to do much better than hiring a Drag Queen for your function! A Drag Queen will have a few faces blushing before serenading you all with big-voiced piano ballads or maybe an Abba disco medley?! An ideal talking point at corporate party environments such as an end of financial year party, a Christmas party or as after dinner entertainment. As mentioned, lip syncing is big within the Drag Queen community so what better way to hear your favourite camp anthems as sung by Bette Midler, Barbra Streisand, Liza Minelli and Dame Shirley Bassey! When you hire a Drag Queen for your birthday party, you will be bowled over as the Drag Act takes you on a journey through 1920s Paris styled Cabaret shows, to 1970s London Soho, to Las Vegas in the modern day! 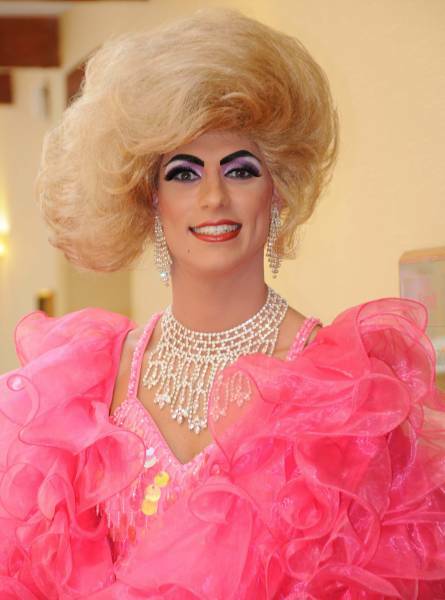 Have you thought about hiring a Drag Queen for your Hen-Do or Stag-Do? Well, we don’t blame you! A Drag Queen will grace your crowd with risky jokes and party songs that’ll really help the evening flow! Maybe you are throwing a cocktail party, or you might be looking for a new act for your burlesque club? Hiring a Drag Queen would perfectly suit either of these occasions. How much do Drag Queen Acts cost to hire? Our simple to use entertainment directory allows you to firstly search for the best Drag Queen Acts who are local (or travel to your area) and then via the contact form you may message them directly to enquire for a no obligation quote to perform at your event. Some acts will also add a rough price guide to their profile for your convenience. What are the usual set formats and performance lengths for Drag Queen Acts? A Drag Queen Act can tailor their performance times to suit you and your event, however, on average a professional Drag Queen Acts will perform for hours. How much space will a Drag Queen Act need at your event? This depends on what type of act the Drag Queen will be offering. If it is a stand alone act that incorporates comedy and singing, then you will only need a stage big enough for the Drag Queen to comfortably perform. Bare in mind that by hiring a Drag Queen, you may need extra room for theatrics! We advise to contact the Drag Queen by using out personal messaging service. What equipment and set up requirements do Drag Queen Acts need? As with most artists who sign up to Entertainersworldwide.com, a Drag Queen Act will provide most of their own equipment. You may want to enquire if an artist needs a PA to amplify their sound, in which case we would advise to use our easy to use messaging service to find out. We do ask that each performer gets a backstage area in which they can prepare for the performance ahead. If your venue does not have a backstage area, then we kindly ask that you enquire with the venue to seek an alternative space in which the performer can comfortably get ready to entertain. How can you find and book a Drag Queen Act with Entertainersworldwide.com? WANT TO RECEIVE A RANGE OF QUOTES FROM Drag Queen Acts?